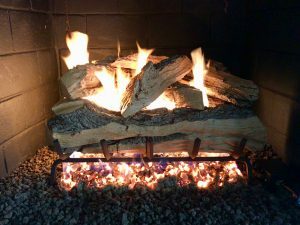 There are many advantages to converting your natural wood burning fireplace into a gas log, but you will need to consider your options. The two primary gases for fireplaces are propane and natural gas. The length of the gas line will determine the size of line needed. Some units also require a electrical outlet or connections to battery power. 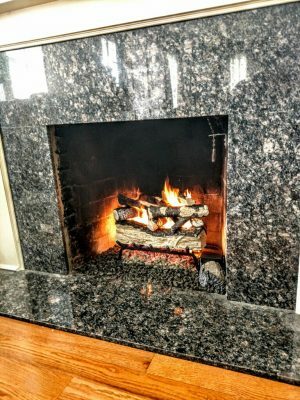 If you have an existing wood burning fireplace there are three different gas fireplaces to consider. 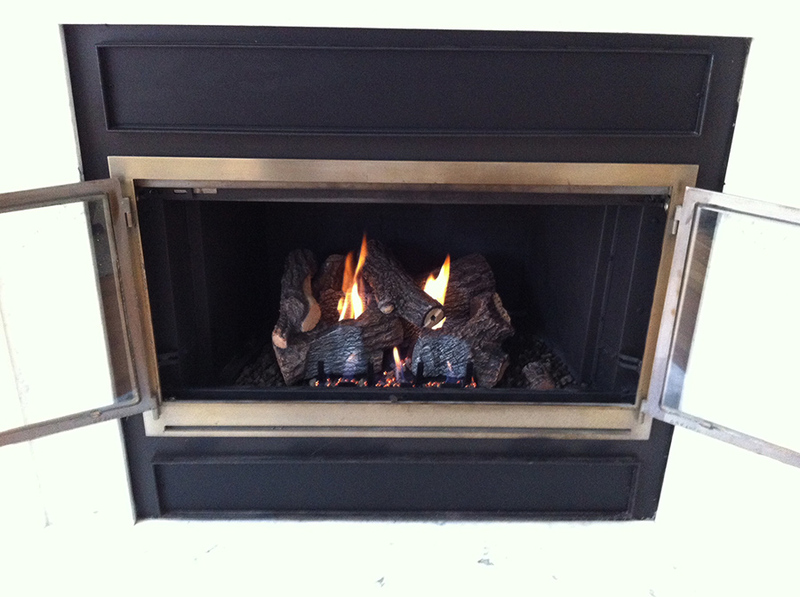 The two main gas logs are vented and vent-free, and another option would be a direct vent fireplace insert. 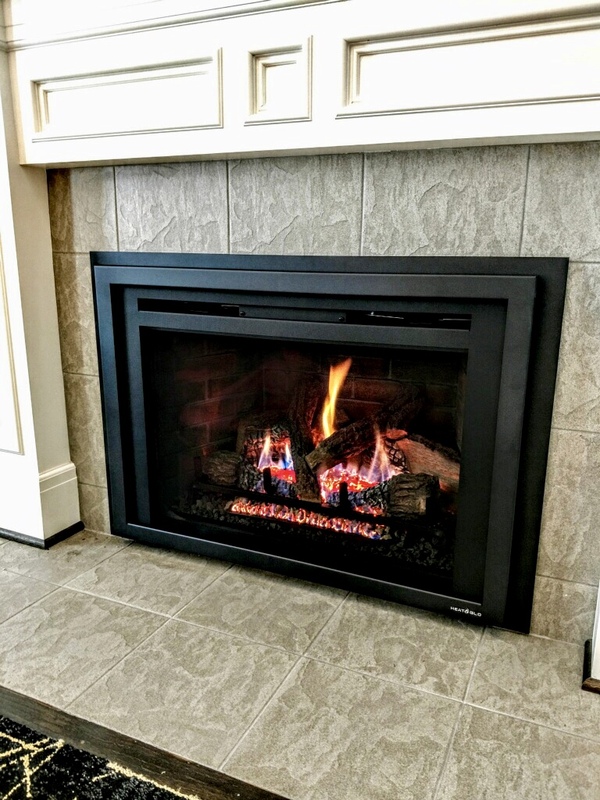 All three of these fireplaces have a variety of different styles and sizes to choose from. Vented units have a more realistic look and will produce a larger flame. Vented gas logs operate with your damper open. Therefore, most of the heat from the gas log will be vented through your chimney. Vented units come with a safety pilot valve, which will shut down the unit if excessive heat is detected. Regular cleaning and maintenance is recommended at least once a year. Vent-free units are designed to burn 99% efficient, therefore they can operate with your damper closed. They will produce a greater amount of heat compared to a vented unit. Depending on the size of the room and the fireplace will determine the size of the unit to purchase. They offer free standing units, which require no venting at all. Vent-free units are designed with an oxygen depletion sensor for safety, along with a Safety pilot. The vent-free logs will need to be placed properly to prevent carbon monoxide. A carbon monoxide detector should be place in the room. The Vent-free flame height is restricted due to design for efficiency. Vent free gas logs shouldn’t be installed into small rooms, such as: bedrooms, bathrooms, and sunrooms due to the amount of air space required to operator. Some states do not allow vent frees to be installed. Regular cleaning and maintenance is recommended at least once a year. They both can be operated by remote control, switch, or turning of a knob. Both units are designed for safe operation. We install for most local dealers in your area or if you would like to purchase for us directly, give us a call. 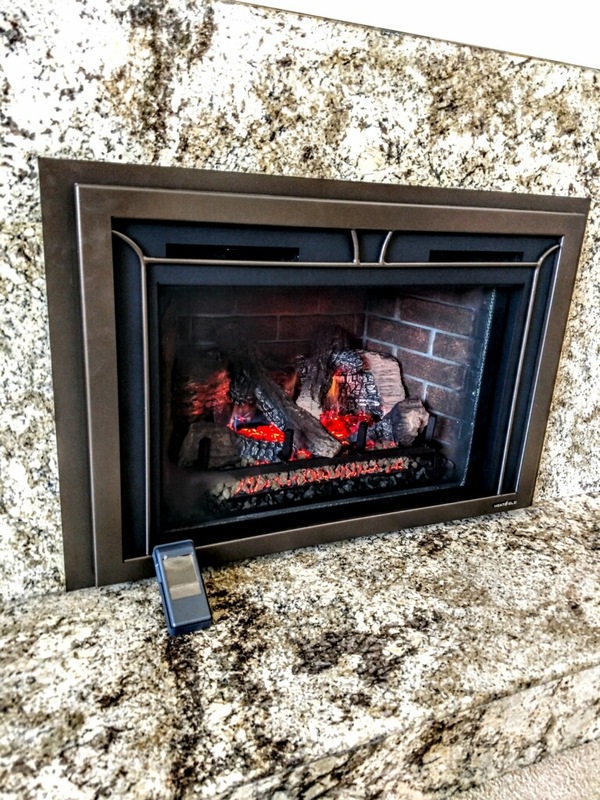 Direct vent gas fireplace inserts come in a variety of sizes to fit inside your existing fireplace. These inserts have a sealed glass front, decorative screen, and surround that covers the fireplace opening. They are vented to the outside atmosphere through your chimney. 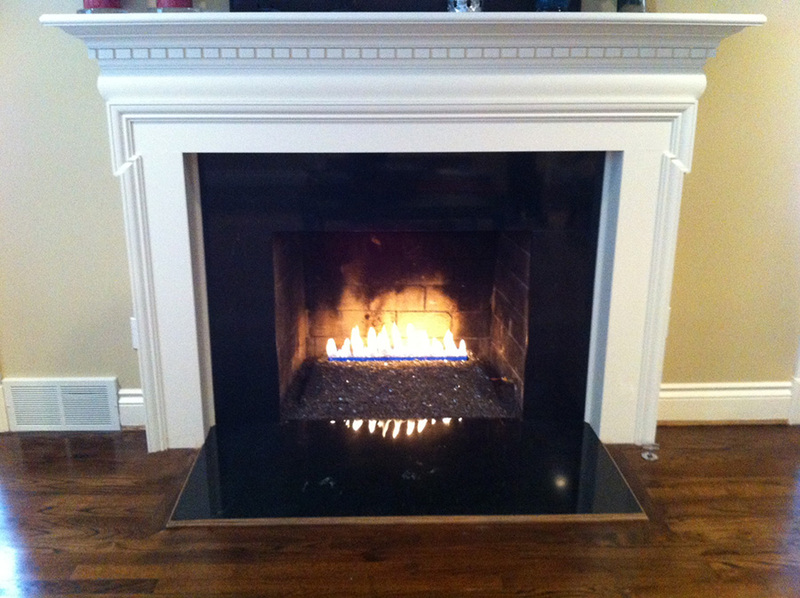 A direct vent fireplace uses outdoor air instead of indoor air for combustion. These units bypass your existing chimney which eliminates any backdraft issues. Most units will need electrical power to supply electronic ignition and blower operation. Most units come with a remote control which makes it easy to use. These units make a great secondary heat source for any room in your house. Give us a call to set up a site inspection to determine the correct size and cost for installation.